FinLux Ellen, a company specializing in solar energy has recently obtained $10 million in financing from Overseas Private Investment Corporation (OPIC), a financial institution that is part of the United States government. The money will enable FinLux Ellen to deploy its project to market solar home kits and install off-grid systems in Chad. Overseas Private Investment Corporation (OPIC), the U.S. government’s development finance institution, announced a $10 million investment in FinLux Ellen. This financial boost will be used to deploy the American company in Chad. The operation will be carried out through Alternaprod Tchad, the new Chadian subsidiary of FinLux Ellen. The American company plans to market solar kits at home. It will also install off-grid systems on the roofs of companies, health centres and schools in Chad. The deployment of FinLux Ellen in Chad is supported by two other American institutions: Bren-Tronics Inc., a company specialising in electricity storage, and Sai Fung Renewable Energy Investment, which helps finance renewable energy projects around the world. “Promoting access to electricity is one of the most effective ways to empower people, improve their lives and promote economic growth,” says David Bohigian, OPICS’s President and Acting CEO. The funding from this financial institution is part of the Power Africa project, launched by former US President Barack Obama to promote access to electricity and the development of renewable energy. Also as part of the project, Xago Africa is currently building a 40 MW solar power plant in Kenya, with an investment of $40 million. According to FinLux Ellen, the project will have a positive impact on Chad’s development. In this Central African country, only 8.8% of the population has access to electricity, according to data collected in 2016 by SE4All (Sustainable Energy for All) of the United Nations (UN). To remedy this, N’Djamena has recently turned to solar energy. Thus, several projects are underway in the country. In February 2019, Amea Power, a company based in Dubai, United Arab Emirates, signed a contract with the authorities to build a 120 MW solar power plant near the capital. 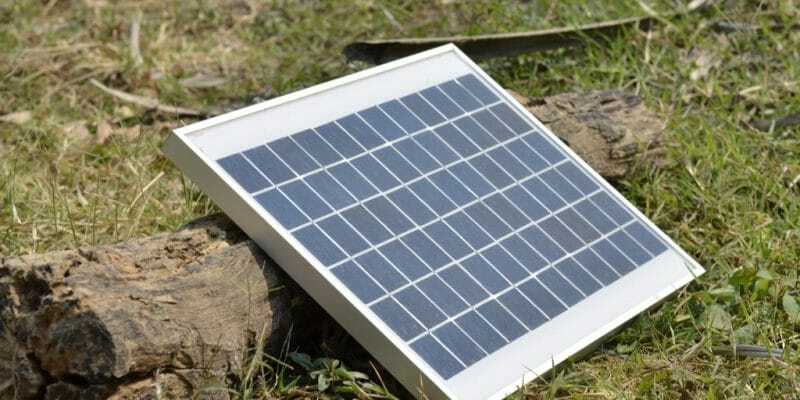 The government has also signed another agreement with Almaden Emirates Fortune Power, a company also based in the United Arab Emirates, to develop a solar park with a production capacity of over 200 MW. In addition, NewSolar Invest, Arborescence Capital and the engineering group CIEC Monaco have joined forces in a third 32 MW production project.